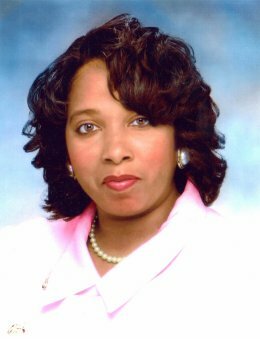 The Honorable Belinda K. Conaway was dutifully elected by the citizens of Baltimore City as their 16th Register of Wills on November 4, 2014. She was officially sworn-in by her father, Frank M. Conaway Sr., the Clerk of the Circuit Court for Baltimore City, on December 1, 2014. Belinda was born into a family entrenched in public service. Growing up in a family focused on working to make the community better, Belinda was motivated to learn all she could while trying to be of service to those in need, which led her to becoming a dedicated member of the Baltimore City School System, first as a classroom teacher and later as a guidance counselor. The youngest of the Conaway children, Belinda was the first of the siblings to successfully run for, and get elected to, public office – winning a seat on the Baltimore City Council in 2004. Representing the citizens of the 7th council district, Belinda actively sought to improve communities, strengthen families and make neighborhoods safer. She took pride in her office’s determination to provide the very best constituent service, as she became an independent voice and vocal leader for her district, as well as for the city’s downtrodden and often overlooked citizenry. Belinda took the oath of office as Register of Wills promising to continue her legacy of top notch constituent service and remaining a visible presence throughout the communities of Baltimore, while looking to build off the strong foundation that Mary Conaway established as Baltimore’s longest serving Register of Wills, from 1982 thru 2012. Belinda was born and raised in Baltimore City. She attended Baltimore City Public Schools and is a proud alumna of Western High School where she received a Maryland State High School Diploma and a Western High School Diploma. Belinda also has degrees from Bowie State University and Indiana University of Pennsylvania. On May 2, 2014, Belinda received a Doctor of Humane Letters from Eastern Theological Seminary. Belinda is a wife, mother of two and a lifelong Democrat. She strongly believes “Where There’s A Will, There’s A Way”!